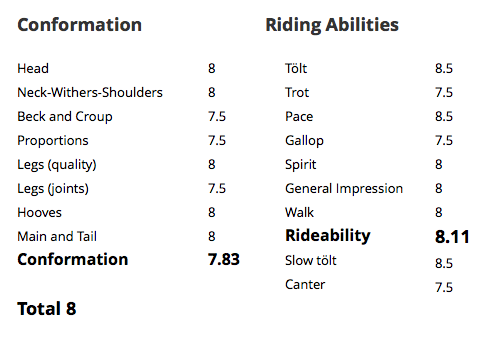 Very good five gaited competition mare. Daughter of Aron frá Strandarhöfði (8.54) and Hrauna frá Húsavík (8.44). Hrauney frá Húsavík (8.00) is a dark chestnut, 9 year old, first prize mare. She is the daughter of the famous mare, Hrauna frá Húsavík (8.44), who is a sister to Kamban frá Húsavík, who has done extremely well with his young rider. They have won at the Icelandic Championships as well as Landsmót. Like Kamban Hrauney has a fabulous temperament. 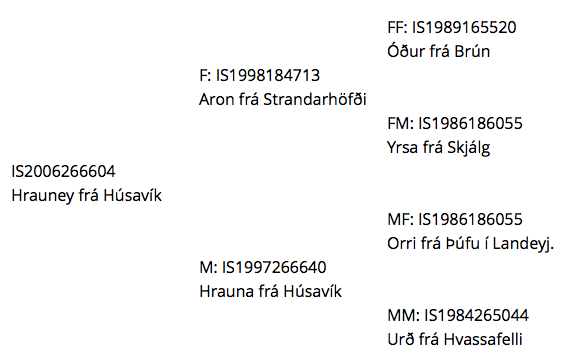 Hrauney's father is Aron frá Strandarhöfði (8.54). Aron has been one of the most successful breeding stallions in Iceland for years and is well-known for throwing good competition horses. Hrauney has been evaluated both as a four gaiter (receiving 9 for tolt) and a five gaiter (receiving 8.5 for tolt and pace). Hrauney has an amazing, clean tolt with a huge speed range. She is very good looking and has a great personality. She would be a very exciting option for somebody looking for a well-bred, first prize, broodmare with a great temperament and amazing tölt. She's a promising competition horse or a fantastic trail riding horse. Color: Dark chestnut no white markings. 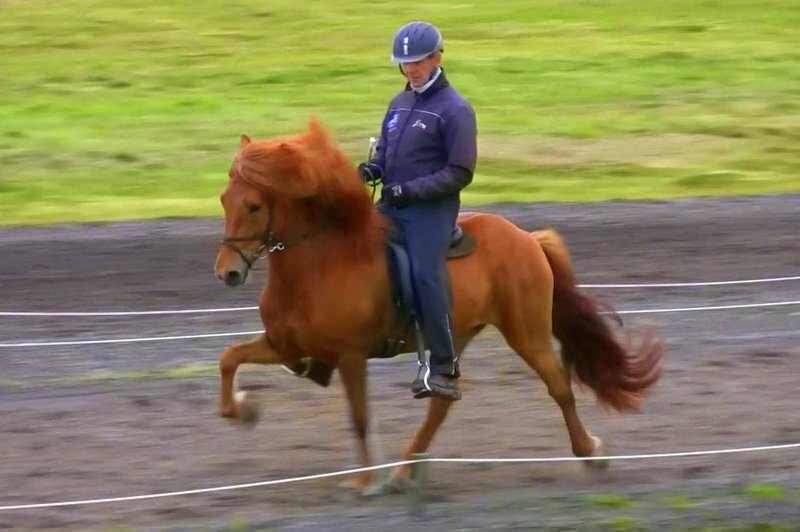 Hrauney has great spirit and strong bloodline, her mother is a first price mare and a sibling of Bjarklind (8.11), Hraunar (8.21) and Kamban frá Húsavík (7.99), Kamban was a champion in children's class at Landsmót 2011 and 2012 (A-Finals: 9.02).